Lucky the Penguin wasn’t so lucky at birth. He was born with a badly deformed foot, which made it difficult for him to swim and when walking develop sores, which would get infected. The zoo vet determined surgery would be too risky. Luckily for Lucky Teva, a local shoe company stepped forward and was able to engineer footwear to help Lucky function normally. At the First Coast Foot and Ankle Clinic, Dr. Vimal Reddy sees this issue on a daily basis; but in humans, not penguins, of course. With diabetes a growing problem in Jacksonville FL, severe case can result in foot deformations called Charcot [shar-COH] neuroarthropathy or simply Charcot Foot. Like Lucky the Penguin, people with Charcot Foot have altered bone structure. Walking will put stress on the foot in ways that can damage it, resulting in sores that can become infected. 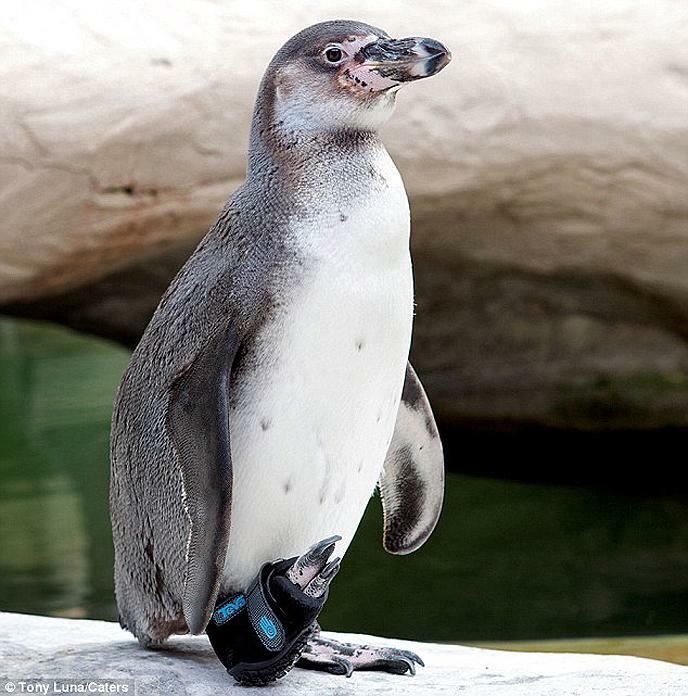 Like Lucky the Penguin, people with Charcot Foot are able to benefit enormously from custom shoes designed to distribute pressure across the foot. For some, surgery could be the option to correct a foot deformity like Charcot but it’s no walk in the park. The procedure takes a great deal of metal fixators (plates, screws, pins, etc.) and the recovery period is long. For the right patient, it’s worth it if it can restore a patient’s ability to function normally. Although surgery isn’t for everyone, patients like Lucky the Penguin will do just fine with their custom shoes. If you have any questions or concerns for yourself of someone you love, please don’t hesitate to contact the First Coast Foot and Ankle Clinic to set up an appointment today.